As a result you can find lots of misguided articles and talk about how to start a “church security team”, focusing — of course — on shooting skills. While responding to a violent attacker with lethal force is of course an understandable course of action, the reality is that it’s not appropriate in all cases. In fact, in the vast majority of security incidents in houses of worship it’s the wrong response. 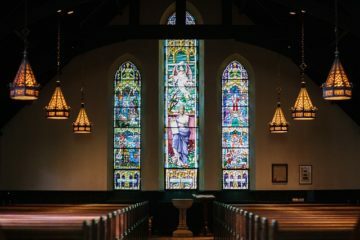 Security, especially in a church, is a lot more than just shooting. In this episode of Training Talk, my guests Aaron Israel and Joshua Gideon talk with me about what a security team really does, what it looks like, and how it needs to be trained. If your church, synagogue, temple, or shrine’s approach to security is to find a few people in the congregation with concealed handgun licenses and station them near the entrances, you need to see this episode. More importantly, your clueless leadership needs to see it. Security in a house of worship is a complex and nuanced job for which people need to be properly trained. You’ll find out why (and how) in this informative and important episode. P.S. : Don’t forget the security of your home and family during these trying times. My latest book, “Prepping for Life: The balanced approach to personal security and family safety”, is all about planning and preparing to face your own ‘worst case scenario’, be it a natural disaster or a vicious attack. Never before has such a comprehensive, structured method for planning your own safety been available, and it’s getting rave reviews. Available in paperback, Kindle, and iBooks formats! Hey Buddy!, I found this information for you: "Real talk about effective church security". Here is the website link: http://www.grantcunningham.com/2017/11/real-talk-effective-church-security/. Thank you.